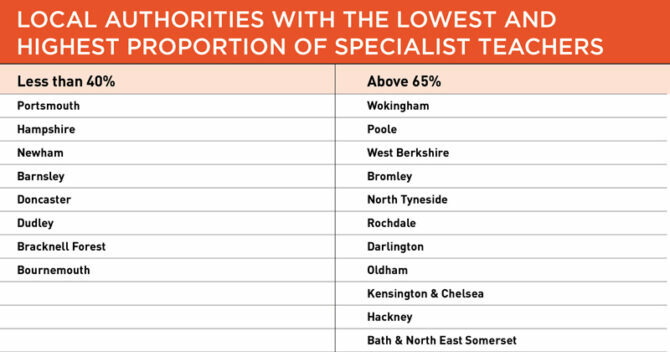 Areas of England with the highest and lowest proportions of specialist teachers have been revealed in a new report by the Education Policy Institute. 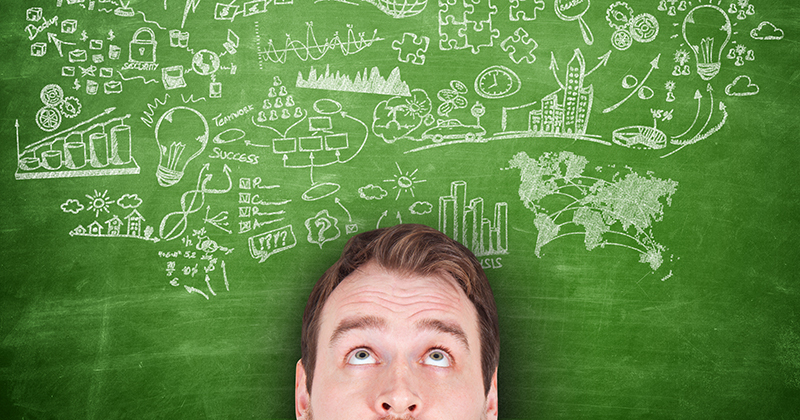 The report into the teacher labour market argued that a teacher having degree in their subject is a “good predictor” of quality, and has looked into variations in this measure across the country, particularly focusing on ‘high priority’ subjects like maths and the sciences. Pupils in London are more likely to have a specialist teacher, and that this varies less between affluent and deprived areas than it does outside the capital. In deprived schools outside London and at key stage 4, just 37 per cent of maths teachers, 17 per cent of physics teachers and 45 per cent of chemistry teachers have a relevant degree. However, in schools in less deprived areas outside of the capital, 52 per cent of physics teachers, 51 per cent of maths teachers and 68 per cent of chemistry teachers have a relevant degree. In comparison, between 40 and 50 per cent of maths and physics teachers and over 60 per cent of chemistry have a relevant degree in London, with little variation for deprivation. In high priority subjects (maths, physics, chemistry, science and languages), the proportion of teachers with relevant degrees ranges from about 40 per cent to 60 per cent for the majority of local authorities. In other subjects (English, biology, geography, history, art and design, design and technology), between 50 to 80 per cent had a relevant degree. In Portsmouth and the rest of Hampshire, access to specialist teachers is low across the board, with between 20-30 per cent of teachers in high priority subjects and close to 40 per cent of teachers in other subjects having a relevant degree. In Doncaster, Barnsley and Dudley, the proportion of key stage 4 hours in high priority subjects taught by subject specialists is well below 40 per cent, despite the fact all three have close to average levels of subject hours taught by specialist teachers in other subjects, coming in at between 60 and 70 per cent. Northumberland has close to average proportions of teachers with relevant degrees in high priority subjects, at just below 50 per cent, but comes in below average for specialist teachers in other subjects at 40 per cent. Although access to specialist teachers tends to be highest in London and adjoining counties, particularly in other subjects, other areas of the country also have high levels of teachers with relevant degrees. In Bath and North East Somerset, Peterborough, Calderdale, Sefton, North Yorkshire, Hartlepool, Rochdale, Trafford and Darlington, the proportion of teachers with relevant degrees is higher than 60 per cent for high priority subjects and above 75 per cent in other subjects. Access to teachers with relevant degrees is lowest in pockets including East Anglia, the south coast – particularly around Hampshire, the Welsh Borders, fringe areas of Birmingham like Walsall and Dudley and south and west Yorkshire.